Sandra Deal, Georgia’s first lady, let her racist slip show when she took a shot at gubernatorial candidate Stacey Abrams, who is Black, and suggested the Yale law graduate wasn’t good enough to take residence at the Governor’s mansion, WSBTV reports. “We see through her coded language,” one woman wrote on Twitter. “I’m white and I heard that bullhorn,” a man replied. Sandra and her husband Gov. Nathan Deal were stumping for Kemp in Athens on November 6th when she made the coded racist and sexist remark. Abrams continues the fight to get every vote counted in the Georgia gubernatorial race, it could make the difference and force a runoff on Dec. 4. Kemp on the other hand has already declared a victory in the state and warned that today his team would start the transition to become governor, even as absentee ballots hang in the balance and need to be counted. 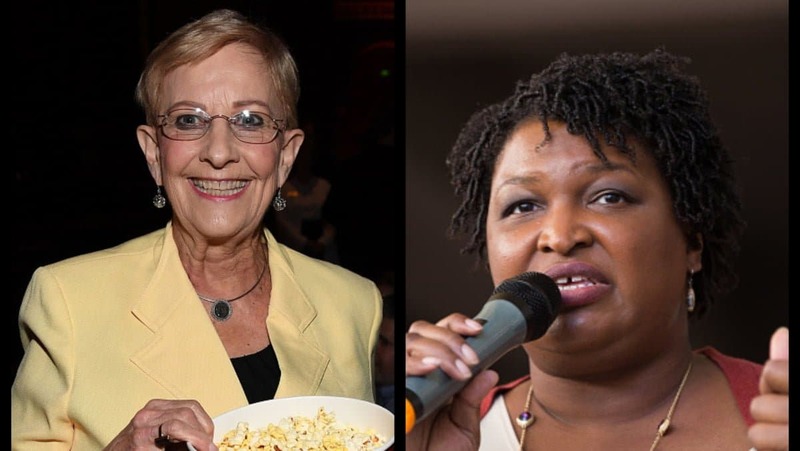 Abrams team on Wednesday night, refused to accept Kemp’s declaration, CNNreports. Kemp has 50.3% of the vote, Abrams has 48.7%. If no candidate receives 50%, there will be a runoff in early December. “Based on counts released by the Secretary of State’s office, Brian Kemp’s margin is so large that the number of provisional ballots and overseas ballots will not change his Election Day victory,” Cody Hall, the Kemp campaign’s press secretary, had said in a statement earlier Wednesday.